Hi guys today I have shared you a way of how you can set up your first blog. This post will be very useful for beginners as it covers all the necessary things that a beginner should keep in mind before creating a blog. Before giving you tips on creating your first blog I would like to give you a brief introduction of blogging. Blogging is an online work where you create your own blog and make regular posts in it. You can make posts according to your convenience but keep in mind you should be regular in your work. Blogging is growing very rapidly in India and other countries of the world. You can make a living with blogging. The people who are interested in blogging they may definitely know who is Sourajit Saha? Yes! You guessed right. Sourajit Saha is an Indian blogger and he is also a source of inspiration for new blogger’s. He earns nearly 35, 00,000 Indian rupees per month that to by only writing about various topics. He is really a great guy. Now, do you want to become like Sourajit Saha then keep reading this post because “If you start good then everything goes good”. Today in this post I will teach you how to create a beautiful and SEO friendly blog with blogger. 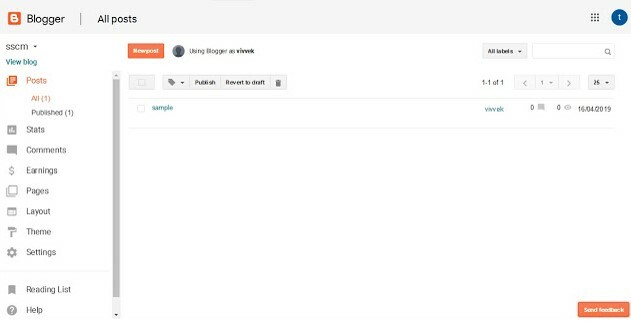 For the people who don’t know what is blogger for them, I want to say that blogger is an online web-based platform where you can create your blog very easily and make posts in it. Blogger is a best and suitable platform for beginners that are why I’m saying you to create a blog with blogger. Blogger has a very nice user interface and you don’t need to pay a single rupee to use any of its services. You can also track the performance of your blog in it. Blogging is has never been easier without blogger. Although there are various platforms like WordPress, Weebly etc. But they are not worth it. 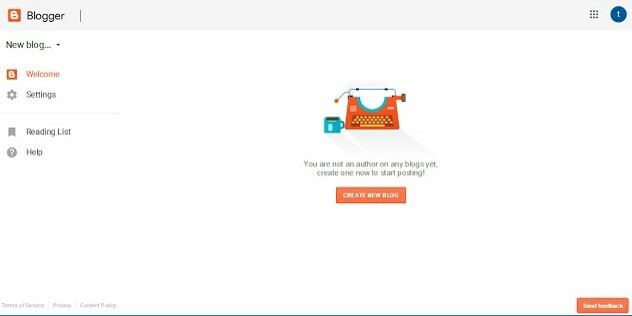 Blogger is the only web-based platform where you can create your blog for free. 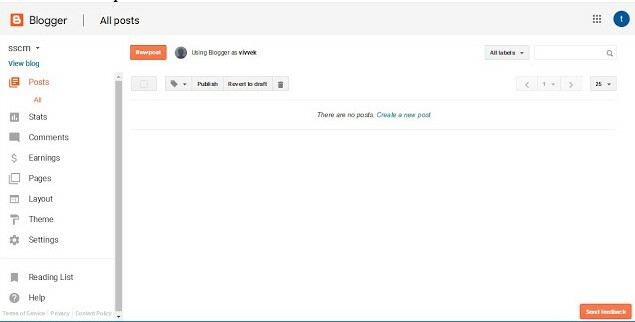 Below I have given the steps of creating your own blog using blogger. After landing in blogger click on “create new blog”. Then a page will open asking you to sign up with your valid Gmail account. Then click on your Gmail account. A page will appear asking you the password of your Gmail account. That’s it you are now registered to blogger. 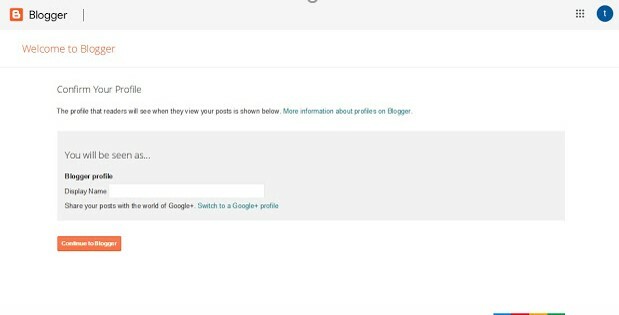 OK after registering to blogger you need to confirm your profile by writing your name in the box. After writing your name click on continue. Now you have to click on “create new blog” button. Give the title for your blog. Then choose a theme of your choice. Then click on “create blog” button. After creating your new blog click on “new post” button. After clicking on “new post button” a text editing page will appear. Now write your post title. Then write the content in the blank box. That’s it now you have published your post. Share it among your friends and different social media platforms to get more views. OK guys above I have mentioned the method of creating your first blog and making post in it. Now everything is over don’t forget to share this post with your friends and relatives.